It may be difficult to believe, but this recipe with ‘pie’ in the title is actually good for you. 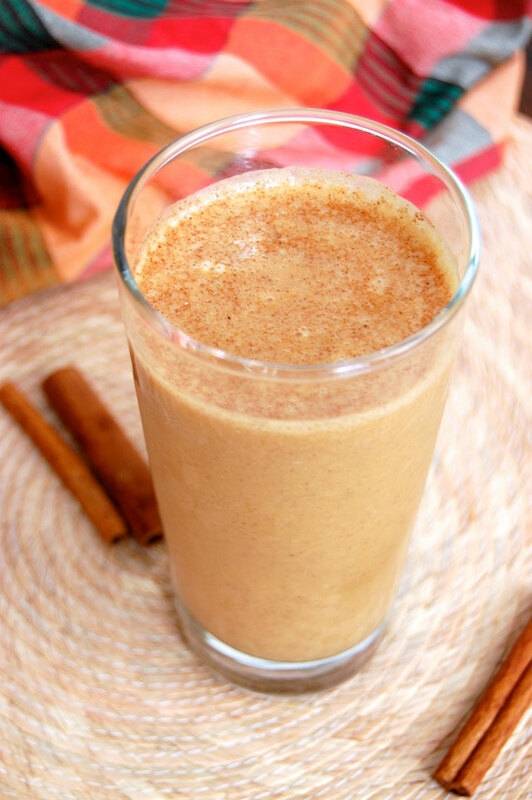 A well-balanced pumpkin pie smoothie with cinnamon and nutmeg is perfect for the fall and can even lend a helping hand to your health. Pumpkins are not just beautifully orange and good for carving. The bright color is the result of carotenoids, including beta-carotene, also found in carrots and sweet potatoes. Beta-carotene is converted into vitamin A by your body. So pumpkin puree holds a huge amount of vitamin A, which is valuable for better vision and eye health, as well as a strong immune system. Pumpkin is a good source of fiber. 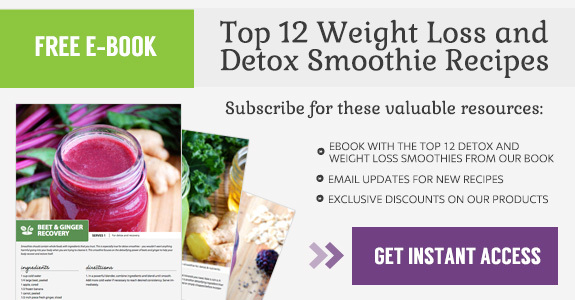 Enjoy this smoothie as your afternoon snack to keep you satisfied until dinner. More fiber means that you will feel fuller longer, with few calories. For this reason foods high in fiber are usually linked to weight loss as well. The pumpkin smoothie is also good for the afternoon because pumpkin is high in potassium, which helps to keep your energy levels up. Post-workout would be another good time to make this drink, in order to restore your body’s electrolytes. In addition, pumpkin also contains high iron levels and vitamin E, both of which support a strong immune system. The other ingredients in this smoothie include a banana for creaminess, honey for sweetness, and almond milk to keep it dairy-free. 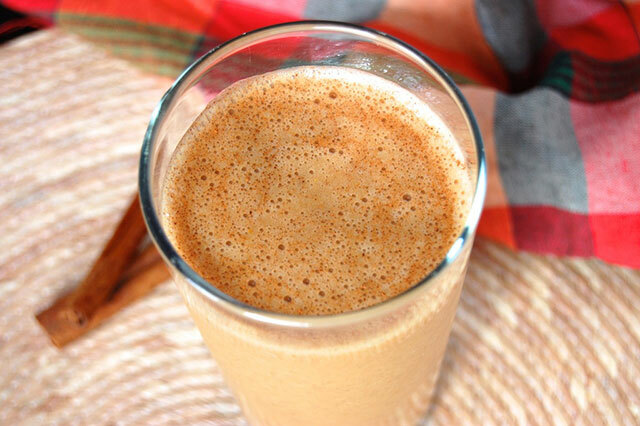 So go ahead and blend up this smooth and flavorful pumpkin pie smoothie. 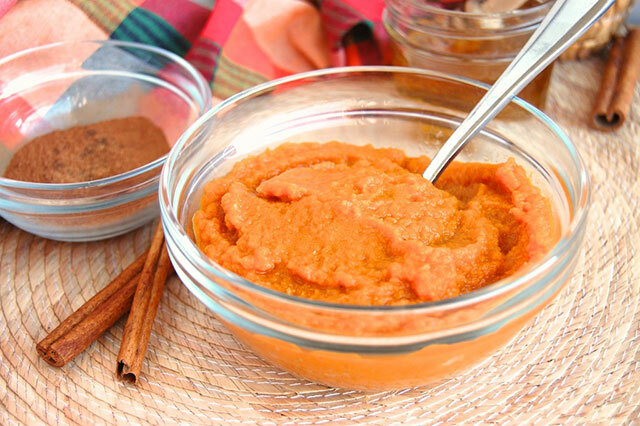 It’s an incredibly easy and still delicious alternative to unhealthy, sugar-laden snacks. It’s guilt-free, but with the same flavors as pumpkin pie. It also goes perfectly with colorful leaves falling off trees and a visit to the pumpkin patch. 1. In a large cup (if using an immersion blender) or a blender, combine ingredients and blend until smooth. Add more almond milk if necessary to reach desired consistency. Serve immediately.